In the late 1990s, it became clear to Jose Cedeño that he would not spend the rest of his life in his native Venezuela. Due to political and economic turmoil in his home country, his parents had requested political asylum, effectively eliminating the option of returning home. Like most immigrants, Cedeño found himself caught in a web of limitations. As an international college student with employment limitations, he worked minimum wage jobs on campus, while simultaneously pursuing an internship with a company that would ultimately sponsor him—and eventually help Cedeño become a US resident. For Cedeño, however, the pressure of these limitations only served to ignite a fire in his belly. He was able to secure a consulting job and a sponsorship six months prior to graduation, which led to traveling across the United States and Europe. He was then recruited into a healthcare company to build a multimillion-dollar medical device manufacturing site at age 24. By age 27, he was a Six Sigma black belt project manager asked to lead Mergers and Acquisition integrations in Brazil for Philips Healthcare. After a year on that job, he became one of the youngest directors at the company and head of M&A Integrations for Philips Latin America. Along the way, he managed to add Italian, Portuguese, and basic French to his list of languages. When his work with M&As became predictable, he pushed the boundaries yet again by enrolling into a top-ranked Executive MBA Program at Kellogg School of Management. There he learned cutting-edge management and marketing practices and networked with a set of accomplished professionals which set the path for his entrance into the entertainment world. 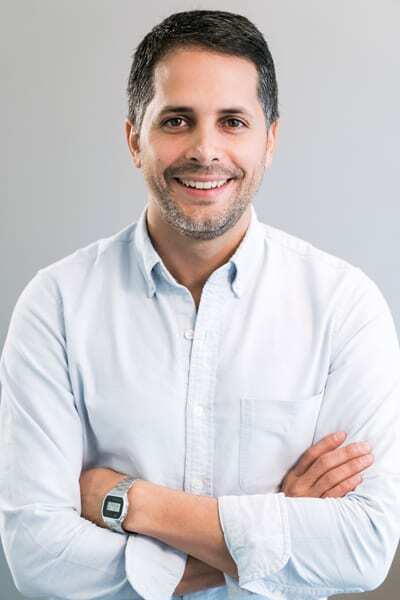 Today, Cedeño serves as the senior vice president of growth and innovation at Sony Music, where he’s been lauded by the likes of Billboard for his innovative commercial, digital, and merchant campaigns in the company’s burgeoning US Latin division. In an interview with The Alumni Society, Cedeño explains how he turns his limitations into opportunities, takes control of his career, and competes against himself, while raising the bar for those around him. Since going back to your country wasn’t an option in the last 1990s, you were forced to find alternative routs in your career. How would you say this molded your work ethic and personal approach to business? Well, it really pushed me to always stay competitive and to ensure I am always pushing myself harder, faster, and further. I was always into sports as a teenager and no matter what sport I played, I always trained harder and longer hours than my peers. I felt it gave me the advantage I needed to perform well. For me, sports and work are very similar. If you invest the time and put in the effort, you will see the results. I have always been very competitive by nature. I see my career as nothing more than another competition—many times against myself. This mentality forces me to push myself beyond my limits and eventually drive better results in the process. What advice do you have for young professionals who want to take control of their career? If you want to have a successful career, you have to know where you are today, where you want to be, and how you are going to get there. If you don’t understand these three things, it’s like taking a trip without a pre-determined destination. To own your career and your life, you always have to have a Plan A, a Plan B, and a Plan C. Otherwise, you leave your career path to luck or, worse yet, to someone else to decide your future. Obviously, be open to pivoting and adjusting your path as you progress, but without a plan or a direction, you are looking for a miracle. You’ve lived in the United States, Brazil, and Europe, and speak multiple languages. How would you say this multiculturalism has benefitted you in your career? While growing up, I bounced back and forth between Venezuela and the United States, and I attended about eight different schools in the process. The constant change taught me to quickly adapt and understand the world around me, and how to leverage the power of diverse points of views to solve complex problems. At work, I try to identify both opportunities and barriers to an organization’s success. While driving change, I respect the company’s culture and its underlying beliefs, but I push where I think I can help make things better and drive solid results. At Sony, how are you navigating an industry that’s in transition? I came to Sony as an outsider. I appreciated music, understood media, but didn’t necessarily have music industry experience. At the time I joined, streaming started to show signs of an alternative form of monetization, but it wasn’t clear yet what the future of the music industry would be. The traditional business had been under attack for many years by the digital world, and this forced everyone in the company to go back to basics. What is the business model? Who are our customers? What are we in the business of? Since I didn’t come from the industry, I had the opportunity to question just about everything. That made for a fantastic opportunity to challenge old ideas and to help drive the business in a direction of change and adapt it to the new realities of the music business. The exciting part of this industry is that it is constantly changing, and you have to be in the business of predicting the next wave and adapting to the change. What is your big idea that other people aren’t thinking about? Why is it so important? It might not be a big idea, or unique, but for me it is critical for everyone to think about the constant change happening around us. The rate of technology advancement will only continue to accelerate in the future. It is to everyone’s advantage to push themselves to stay relevant, by learning, putting oneself in challenging situations or positions that force us to think differently and adapt. Build a team of diverse people, of different ages, that come from different industries and challenge them to solve problems. You will be surprised how much you will learn in the process.